A German-Scandinavian Art Project in the Belzig Landscape Fields. 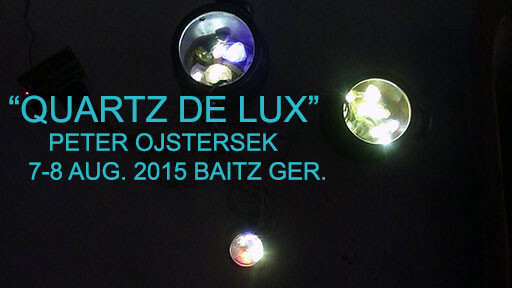 ”QUARTZ DE LUX” 2015 A INSTALLATION 7-8 AUG. IN BAITZ GERMANY. 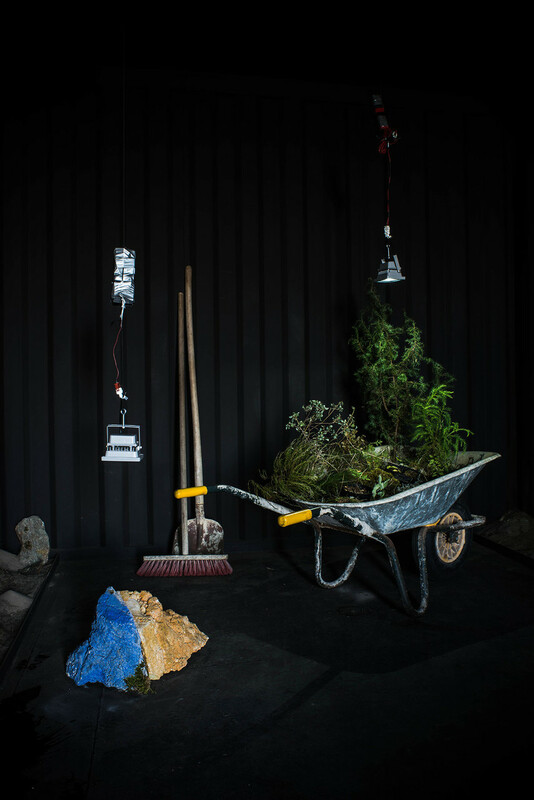 Microprocessor programmed Quartz Chrystal’s with LED lights, Arctic plants, ceramic pots, wooden tray, water, sand, stones and casted concrete sculptures. ”QUARTZ DE LUX” is a combination of created, collected and found artefacts from my journey following the traces from the ice northerly from the Glacial Valley of Baruth as starting point. The Installation is presented as a temporary Art work in a custom made container.When I first saw this sandy dune landscape with the smell from resin from pine threes close the bicycle road stretched from Calais to St Petersburg and follows the Glacial Valley of Baruth with sand formations created during the last two ice ages. When looking out over the landscape its easy to imagine the melting water from ancient glacial river throwing out chrushed Scandinavian mountains as sand and gravel. This experience made a strong impression on me and I didn’t know that I was going to spend the summer following and thinking about the traces from the ice through Sweden up to Torneå see and through Norway and back to Baitz. ”QUARTZ DE LUX” is the out come from my journey. The collected and displayed objects and materials connect for me different parts of our cultural history after the last ice age. In the Art project ERRATIKER in Beitz and the confrontation with the overwhelming of sand and gravel quartz get stucked in my mind and I came to see glimps oft he cultural history since the last ice age through the mineral quartz. In the installation I have chosen to use quartz chrystals with integrated LED light´s in a installation with quartz, plants, pottery, and wooden trays. Quartz is a major component in sand and together with bedrock the first settlement for living organisms after the ice age. Sunlight, water and sand are the conditions what were needed for plants to grow and to create the condition, needed for the wild animals grassing. That´s made it possible to create a culture from hunters and collectors. Quartz is used since the stone age as flint and quartz shards used for tools. In the bronze age, quartz sand and clay was mixed together for creating pots for melting bronze and later for burned bricks and glass production, today it´s used in electronic equipment as watches, radios, computers, and sonars. Quartz is today also used in all kind of construction work as concrete and production of hightech glass and ceramics. A thought that follows me, we define our culture in categories as stone age, bronze and iron age. We now must be living in the sand age, thinking on all new megacities made from glass, concrete, metal and plastic, operated with advanced electronic systems. 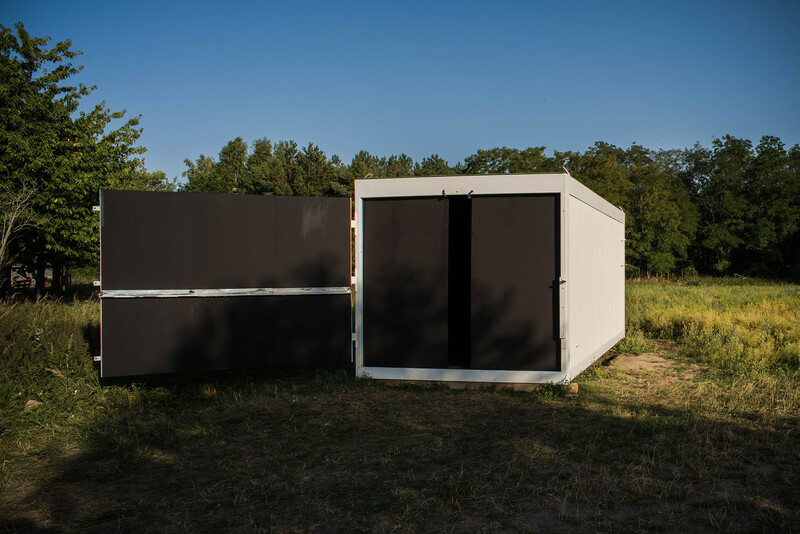 The installation ”QUARTZ DE LUX” is my contribution to work with the landscape around Baitz, initiated from the Curators: Susken Rosenthal and Otmar Sattel. Through my journey along the landscape created from the ice in mind. I have travelled from Baitz through Sweden up to Kiruna, crossing the polar circle and driving along Torneå see over to Narvik and through Norway down to Baitz again. 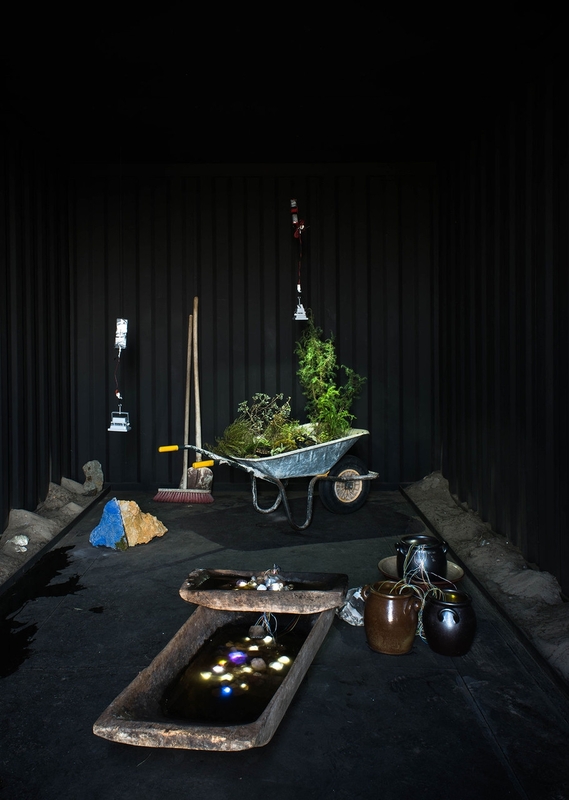 During the travel I have been collecting plants, rocks and the artefacts later used in the installation. 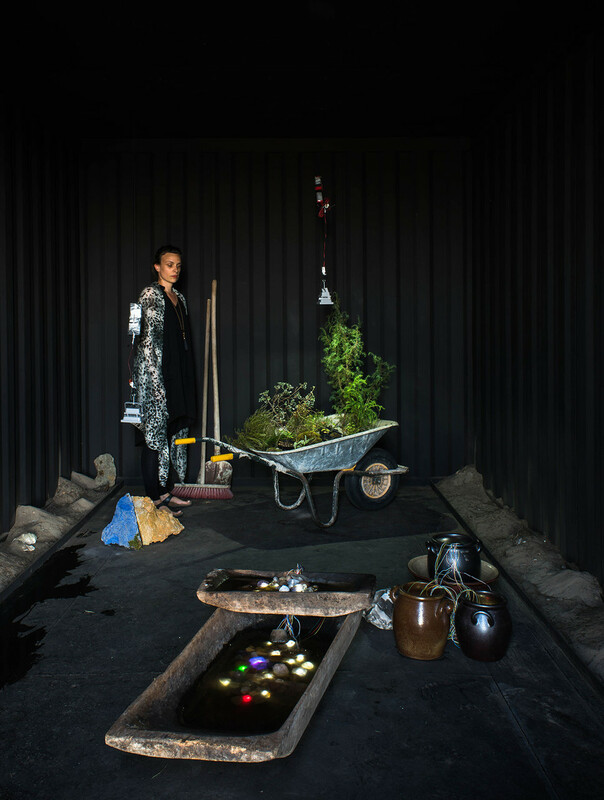 My intention is to interact with the surrounding landscape and different time periods and use of the Container as a diorama the visitors can enter. During my research I have noticed that during our history we have moved from a wood- and stone- to a sand culture. Quartz is central in our culture and is used for concrete, glass and ceramics and an important content of our soil where we grow our food. “QUARTZ DE LUXE“ is displayed inside a white container placed beside the European bicycle road R1, which passes Belziger meadows in the region of High Fläming in Brandenburg, formed about 25.000 years ago during the last two glacial periods. The glacier streams drove masses of ice and rocks from Scandinavia and carved the today existing landscape, now waiting to be trans formed through future ice ages to come.